It's apparent that online shopping has become nearly as overwhelming as trying to walk down 5th Avenue during NYC's Christmas season tourist rush. 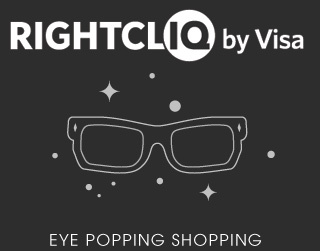 Visa has devised a very cool new tool coined Rightcliq, which lets you collect must-haves from across the Web, organize them in one spot, and visually compare them all at once. All you have to do is download the tool to your browser and whenever you see something you like, add it to your "Wishspace." In your Wishspace, you can organize all your finds into bundles, like Gifts for Mom, Gifts for Sis, Gifts for Me, etc. Later, when you visit your Wishspace, all your ingenious picks are displayed in pretty pictures – organized like only a Virgo or computer program could handle. The result? No more guessing if that faux fur vest you found last week was cropped or full length by looking at a URL in your bookmarks bar.